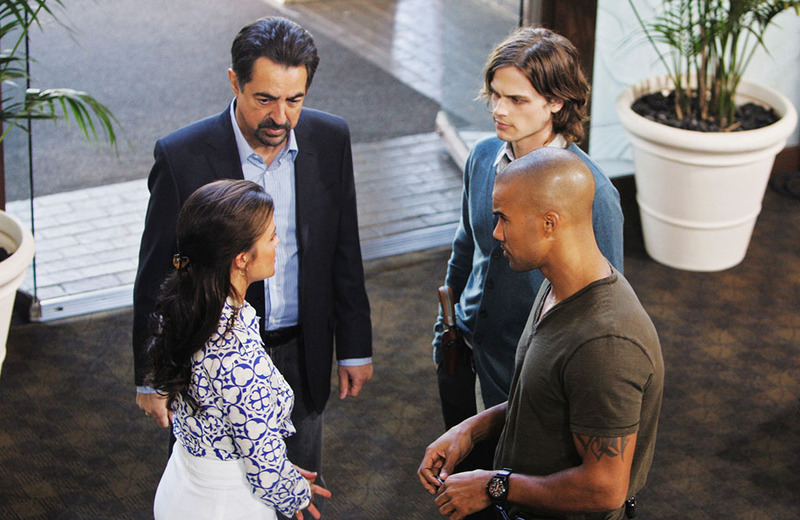 First aired on CBS on September 22, 2005, Criminal Minds grew to become one of the most popular shows on television. By diverging from the typical crime drama tropes, it managed to set a new precedent, taking the genre to new heights. In the last 14+ years, the show has proven itself to be one of the best on the air, with consistent viewership and ratings. If you’re a die-hard fan of Criminal Minds, you’ll want to check out these behind-the-scenes tidbits that will surprise even the most dedicated viewers. Producer Rick Dunkle further commented that lighter storylines might seem out-of-place when dealing with the darkness that surrounds a murder case. Instead of involving the characters in typical TV drama, their personal traumas are slowly revealed to the audience piece by piece, making Criminal Minds stand out among other shows. Criminal Minds is an extremely dark show, and a lot of the writing is inspired by actual crimes that have happened. Unfortunately, the show itself has also inspired others to carry out their own horrific crimes. In 2012, a 10-year-old boy shot and killed his sleeping father. He admitted that he saw a child do the same thing to his abusive parents on the show without being caught. Although the boy’s father was abusive and was planning on leaving his mother, real life isn’t the same as a dramatic crime show. The murder showed that allowing children to watch such shows, especially at a tender age, can sometimes end in disaster. Although producer and writer Rick Dunkle claims that they try their best to maintain strict continuity on the show, some of the characters’ timelines seem impossible. For example, Agent Hotchner worked as a prosecutor, joined the FBI, moved to Seattle, and now works in a top rank in the Behavioral Analysis Unit (BAU). Yet, he doesn’t seem to have aged at all or at least still looks a little young to have achieved all those accomplishments. Producer, technical advisor, and former BAU agent Jim Clemente notes that typically you would have to work 10 years in the FBI before transferring to BAU, making Hotchner’s timeline a bit far-fetched. To prove his point, Clemente performed a cognitive interview with producer Simon Mirren who had lost his car keys. Walking him through the interview, Mirren eventually remembered that they were in the center console of his car the whole time. Ever think it’s strange that they have a private jet? Joe Mantegna came onto the show to play David Rossi, who was set to replace Special Agent Jason Gideon after Mandy Patinkin suddenly left the show. 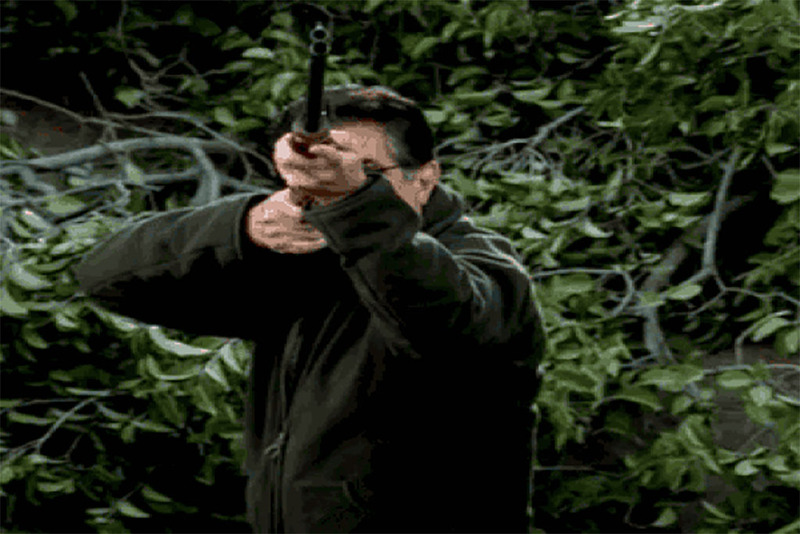 It was well-known that Special Agent Gideon was a frequent bird watcher and enthusiast, and in Rossi’s first scene, he is seen shooting a duck out of the sky. Some people claim that this was the showrunners showing animosity for Patinkin’s departure from the show. In reality, this was done in order to show that they were two entirely different characters. A.J. Cook is known for playing BAU Agent Jennifer Jareau, otherwise known as “JJ.” She’s regarded as a crucial member of the BAU team and performs many duties, from handling the press to cracking cases herself. Yet she almost never had the opportunity to be on the show. At the young age of seven Cook was declared legally blind, and was forced to wear incredibly thick and large glasses which didn’t help her socially. The worst part was that people thought she had a learning disability when in reality she just couldn’t see a thing. Cook had surgery performed in 2007 and can see fine, even without the help of glasses. Matthew Gubler, who plays Dr. Spencer Reid, the wunderkind with multiple PhDs under his belt, doesn’t wear matching socks. While many people might assume that this was a quirk of his genius character, it’s actually Gubler’s own preference. He feels that it’s unlucky to wear matching socks. This worked out for the show since most people wouldn’t think twice about his character wearing mismatched socks, in fact, it actually kind of works. So, next time you’re watching, pay close attention and see if you can spot his different socks. 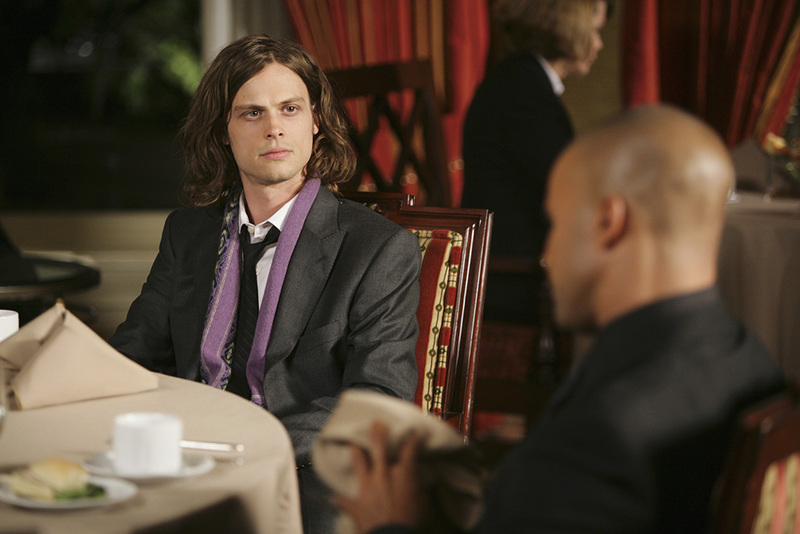 At the beginning of season 5, Dr. Reid ends up in a dangerous situation, and as a result, is shot in the leg. While this does add some extra drama into the show, it wasn’t part of the actual plot. What actually happened was that Gubler severely injured and couldn’t walk without assistance so the show-runners had the shooting written into the show. Funny enough, Gubler had dislocated his knee while dancing! Quite a far cry from getting shot, but we’ll take it! 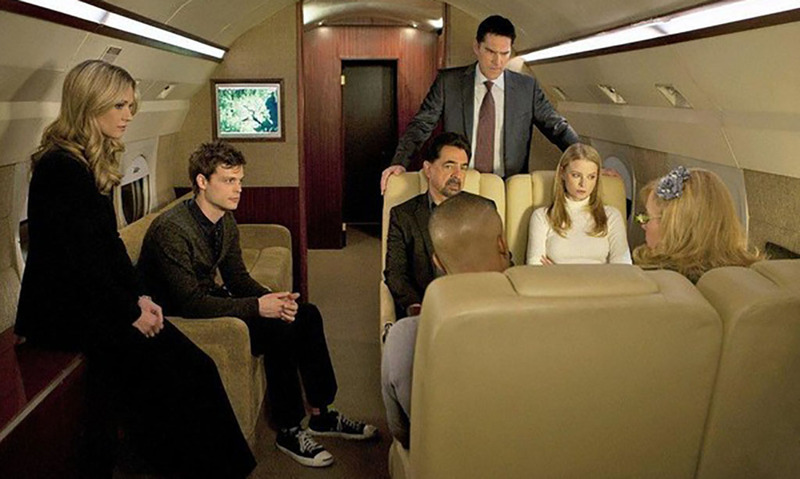 On the show, it’s not uncommon to see the BAU team enjoying their private jet while traveling the country solving cases. Jim Clemente laughs at this and explains that’s not how it actually goes down. While he found himself on over 500 flights over the course of his career, he clarifies that all of them were sitting in coach with the public. While even the producers admit that the private plane is a stretch, it obviously helps make the show flow better. On top of all that, most of their destinations are only a few hours’ drive away, which would really be quicker to get to driving than dealing with an airplane. Check out the real reason Mandy Patinkin left the show. Kristen Vangsness, who plays Penelope Garcia, the human-computer of data-finding, was actually only supposed to be on Criminals Minds for one episode. As of today, she has been in all 15 seasons, so clearly she has been doing something right. In an interview with Parade, Vangsness opened up, saying that while filming her one episode she had great off-screen chemistry with Shemar Moore who played Derek Morgan. It was this, along with the positive reviews from fans about her character, that made the writers decide to feature her in another episode. The rest is history. 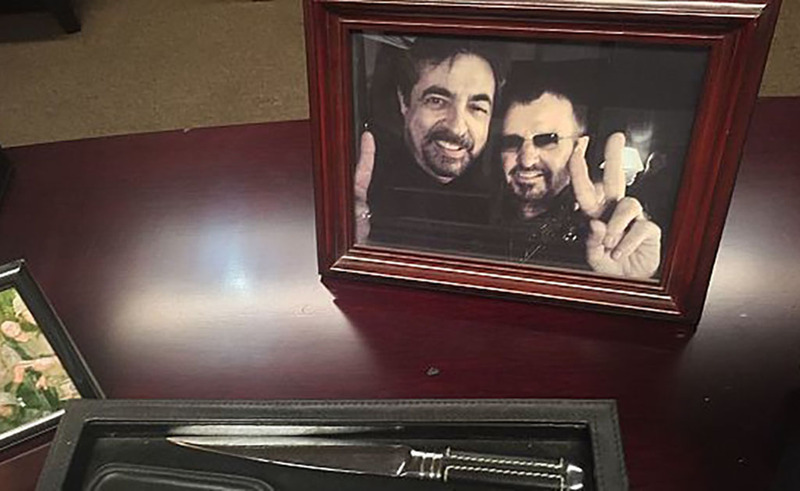 Although former Beatles member Ringo Starr never actually appeared on the show, he is real-life friend of Joe Mantegna, who played Supervisory Special Agent David Rossi. In the show, Rossi mentions Starr on numerous occasions and even has a picture of the two together on his desk. Funny enough, this is actually a real picture of them too. So, maybe if we’re lucky, Rossi and the show writers might convince Starr to come on the show for a cameo in a future episode. 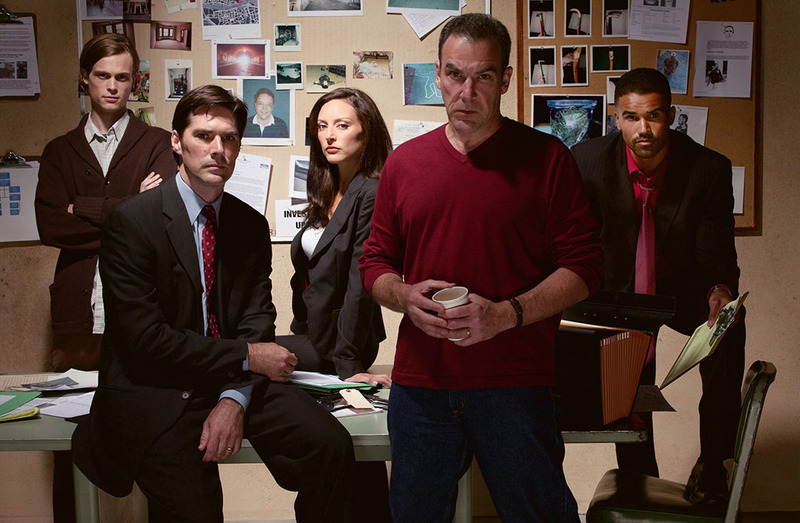 While other crime shows such as NCIS, Law & Order, and CSI managed to have numerous successful spin-off shows, that wasn’t the case for Criminal Minds. 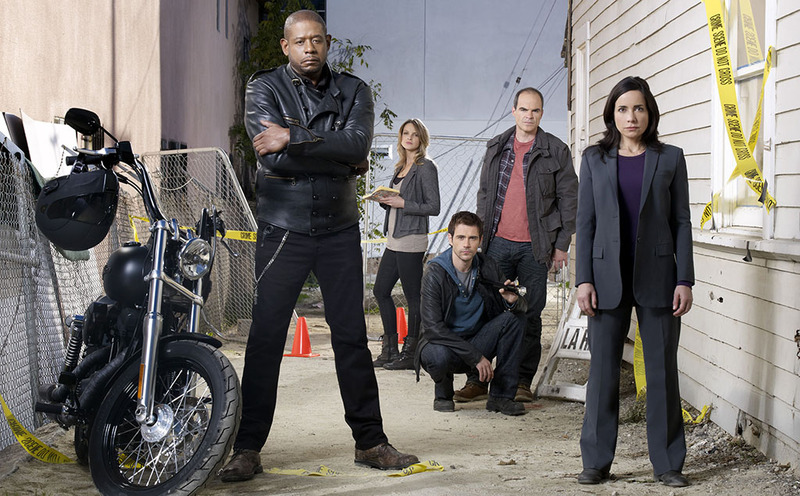 In 2011, CBS released Criminal Minds: Suspect Behavior starring Forest Whitaker, Michael Kelly, and Janeane Garofalo. Unfortunately, after the first season, the show was not renewed for a second. However, they didn’t give up and came out with Criminal Minds: Beyond Borders which managed to last two seasons, this time between 2017 and 2017. 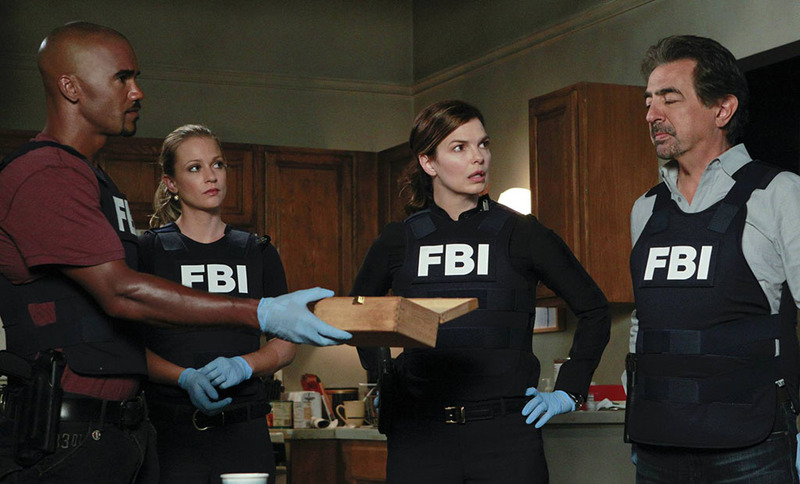 Before deciding on naming the dramatic series Criminal Minds, the show-runners had plans to call it Quantico. While few could imagine a more fitting name than Criminal Minds, it was a very close call that the show ended up being called that. However, the name Quantico wasn’t completely discarded from television, as it’s the name of an ABC drama series starring Priyanka Chopra. It was released over a decade after Criminal Minds first came on the air. 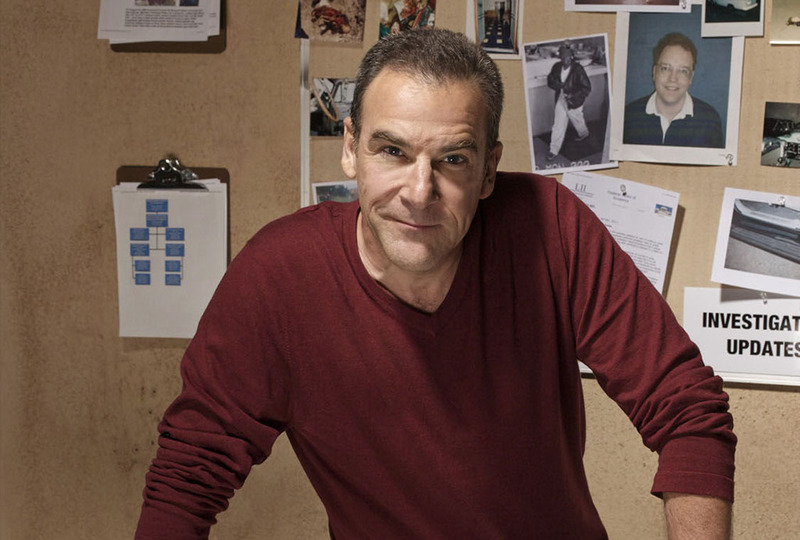 Mandy Patinkin played Agent Jason Gideon, who was on the show for the first two seasons and briefly in season three. However, he eventually stopped showing up for work and was replaced by Jason Mantegna as Agent David Rossi. 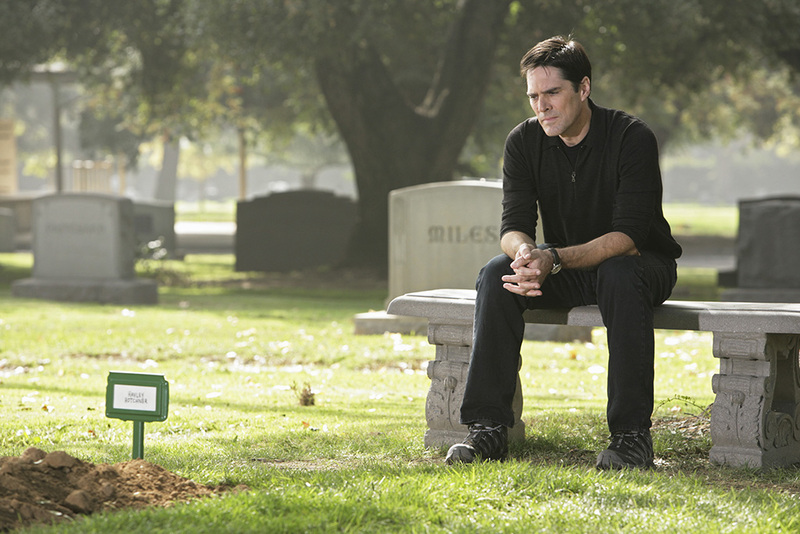 Now, learn why Thomas Gibson was forced out of the show. 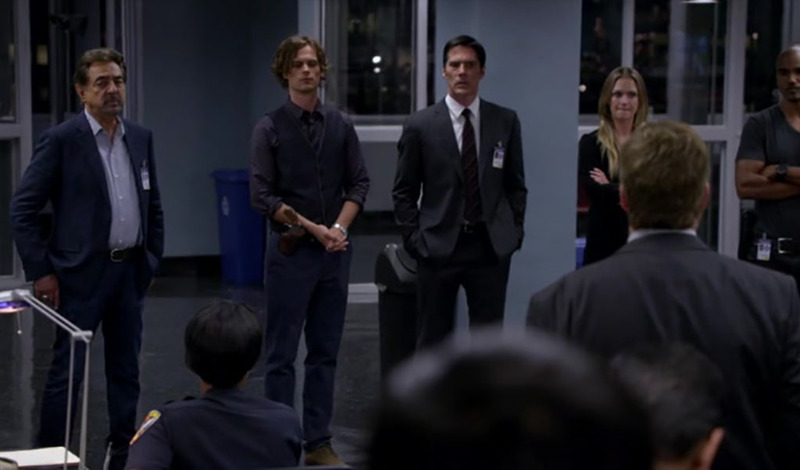 In the show, “presenting the profile” is when the BAU agents stand at the front of the room and talk while cops frivolously take notes. However, there’s no such thing as presenting the profile in real life. While the police officers and BAU may be in the same room together, supposedly it’s much more of an open dialogue than the show portrays. Former BAU officer Clemente said it’s much more informal than it’s depicted on Criminal Minds. On the show, they also tweak the profiles depending on how dramatic the case is. When Haley Hotchner’s wife goes into protective custody she wears a dark wig. While most viewers assumed the wig was to help hide her identity, that wasn’t the full reason for the hairpiece. While it makes sense for her the character’s situation, the real reason for the wig is that the actress, Meredith Monroe, had dyed her hair for a part in the Showtime series Californication. Much like they did with Matthew Gubler’s injured leg, writers were able to make it work with the show. 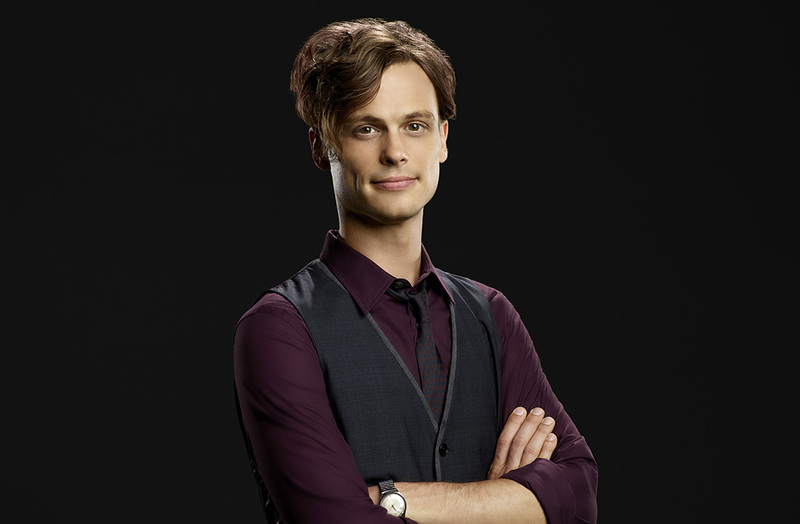 While audiences couldn’t imagine Criminal Minds without Matthew Gubler playing Dr. Reid, at first, it didn’t like he was going to get the part. After his first audition for the show, he was told straight up that they didn’t think he was right for the part. He wasn’t ready to give up, however, and auditioned several more times, attempting to prove them wrong. Unfortunately, time and time again Gubler got the same answer until he obviously got the part. Surely, the show wouldn’t have been as successful without him and the producers are surely relieved they eventually gave him the role. 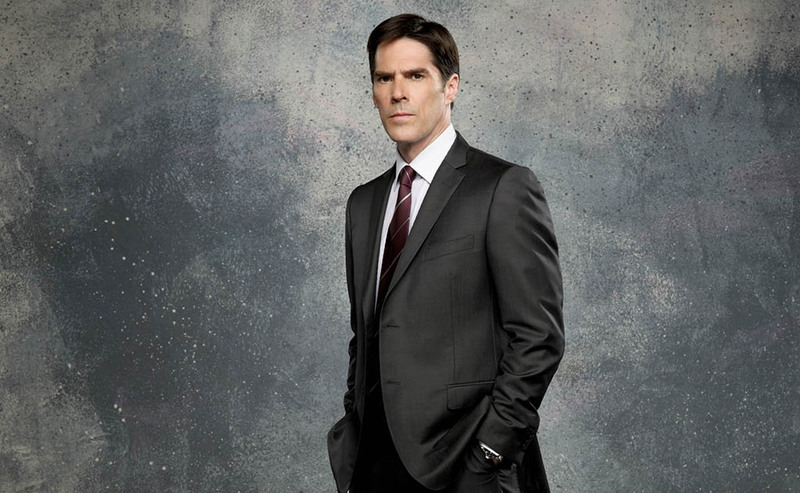 Agent Hotchner was forcibly written off of the show after the actor who plays him, Thomas Gibson, became violent on set. He got into a physical altercation with a writer/producer while directing an episode and the writer refused to omit a particular line. Gibson commented on the situation, saying, “There were creative differences on the set and a disagreement. I regret that it occurred […] We all want to work together as a team to make the best show possible. We always have and we always will.” The show experienced a slight drop in viewership but not enough to slow it down for good. In the show, SSA Jennifer Jareau or “JJ” has kids who have relatively minor roles throughout the series as they slowly grow up. Well, this worked out for actress A.J. Cook who also has two young children and decided to use her own family instead of pretending to be the mother of someone else’s kids. People have joked in the past that her two children, Mekhai and Phoenix, will have more acting experience than most aspiring actors before they even turn 10 years old. The list of Dr. Reid’s career and educational accomplishments goes on and on, making him one of the most impressive and knowledgeable characters on the show. Yet, there was a slip-up that made him seem even more educated than he already was. Producer Breen Frazier was in charge of writing the season 7 episode “Painless” when he mistakingly confused MIT with Cal Tech, where Reid was said to go to school. The other writers missed the mistake as well which made it made it sound that Dr. Reid had an additional degree on top of his others.